A missing endangered child report has been issued for a 13-year-old autistic girl. Investigators say Rachel Mosher left a relative’s home in Springfield around 6 p.m. Tuesday after becoming upset. She was last seen running through the neighborhood. 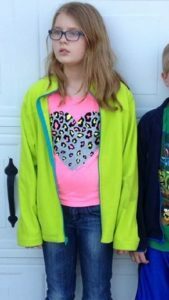 Police say Rachel is 5 feet tall, weighs 90 pounds and has light brown hair and blue eyes. She was last wearing blue jeans, a red jacket with fur around the hood, a white sweater with snowflakes and black boots. She was also wearing a pair of blue framed eye glasses. Anyone seeing the missing girl or having any information related to the case should immediately dial 911 to contact the nearest law enforcement agency or call the Springfield Police Department at 417-864-1786.